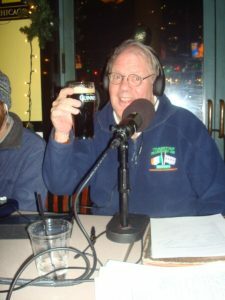 On today’s show Jim Davoren of The South Side Irish St. Patrick’s Day Parade Committee joins us. Jim tells us of the recent groundswell generated by our own Skinny Sheahan that looks like it might result in the resurrection of the annual parade after an absence of two years. Nothing set in stone yet, but we’re encouraging everybody to come out to the next meeting at the Beverly Art Center on Monday August 22nd at 7PM to talk about it. We also have a few laughs with the controversy over the rumored wedding of Bert and Ernie propagated by the National Alliance of Sick Wackjobs. Plus all our usual antics with Who Cares and Who Died, so tune in to 1450 AM at 3:05PM or catch the podcast right here. Remember the Skinny & Houli Show for all your South Side Parade info and hit us up with your comments.